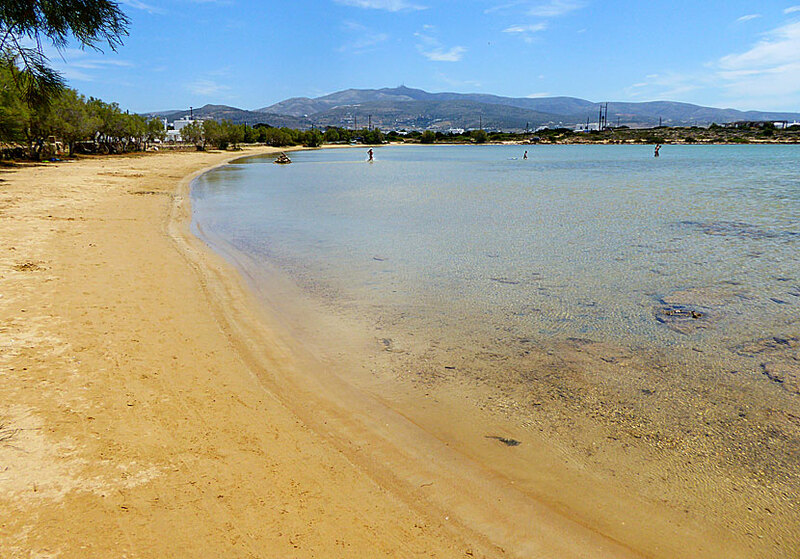 Child-friendly sandy beaches in Antiparos. 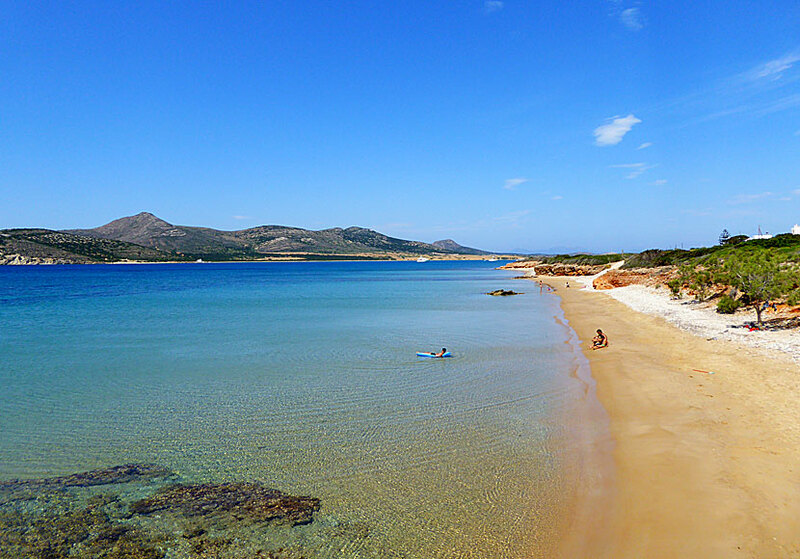 Antiparos is popular for its easily accessible and often child-friendly beaches. Many are within easy walking distance from Chora. Tavernas are found on all beaches except at Nudist beach. 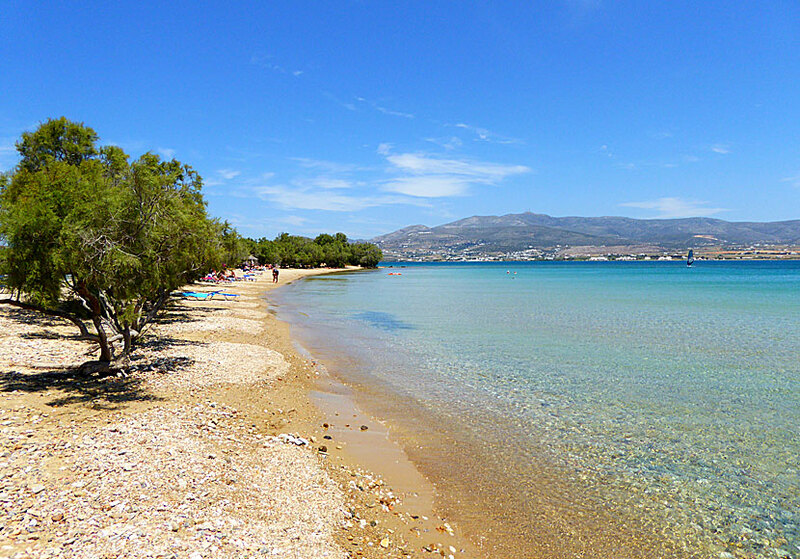 Psaraliki 1 and 2 are two very popular beaches close to Chora, you walk here in just a few minutes. The sand is mixed with pebbles, plenty of shade from tamarisk trees, shallow and child-friendly. 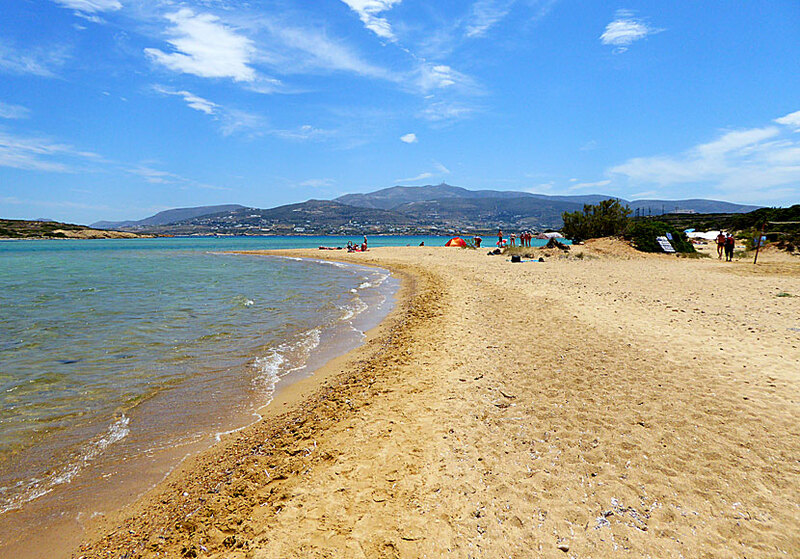 Agios Spiridonas beach, to the left of the port if you are facing the water, is the island's most shallow beach. It's a paradise for the really small children, the water just reaches to the knees on an adult. The beach is commonly called Baby beach, or the Village beach. Nearby are many pensions for those wishing to have a short distance to the beach. 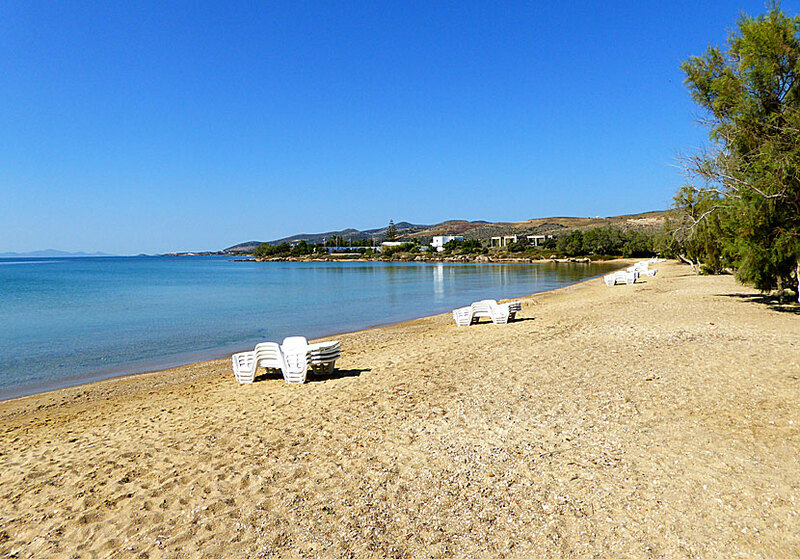 Agios Spiridonas beach is perfect for young children. 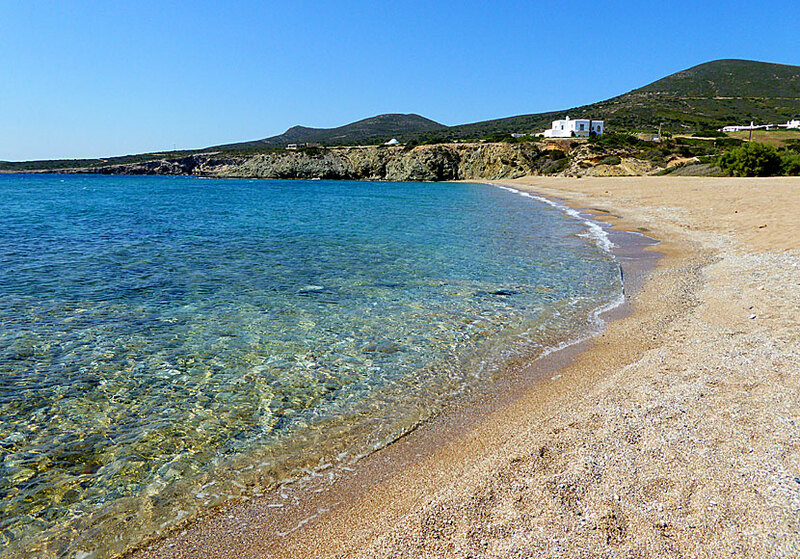 About a kilometre north of Chora, after the shallow Village beach, lies a paradise beach for nudists: Nudist beach. Official nudist beaches are rare in Greece, nudism is common, but hardly ever allowed. But this beach belongs to the tiny group of official nudist beaches and therefore it's extra popular. Not only among nudists, many dressed bathers also like Nudist beach. There is usually a kantina in the summer with a simple menu of food and drinks. At a swimming distance opposite Nudist beach is the small islet of Diplo, where there are some small beach strips. Soros beach on the south-eastern side of the island is considered by many as the island's best beach. You go here with your own transport, either to swim or to have lunch. Agios Georgios beach is located just after Soros on the south side of the island, it is in my opinion the best beach on Antiparos. The beach is quite shallow and the water is crystal clear. Little shade, but there are some tavernas nearby if you want to escape the sun for a while. Opposite Agios Georgios lies the small island of Despotiko. The island is uninhabited, but was inhabited for many many years ago. Excavations have been going on since 1997. You can go there by taxi boat from the small port of Agios Georgios. There is bus service from Chora to Agios Georgios. It is a pleasure to go here in the evening to have dinner at one of the cosy tavernas. If you want to experience fantastic baths in deep blue waters, you can go on a boat trip around the island. There are several boats to choose from. We usually go with the excursion boat Alexandros. The tour includes lunch and several stops for swimming. Do not miss.